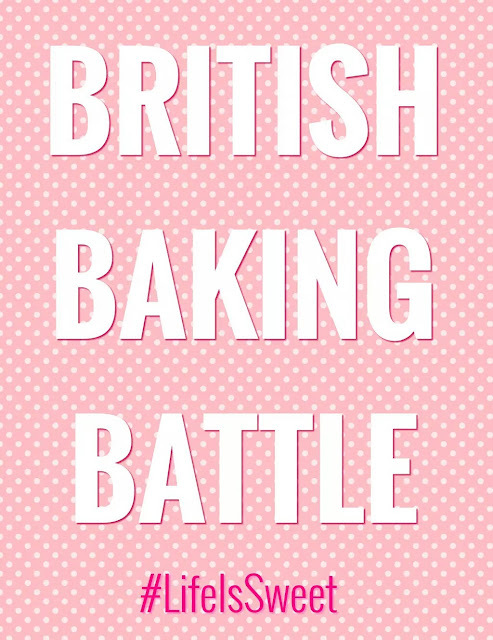 Life Is Sweet: British Baking Battle! Hope you are all having a lovely weekend! :) We had a blast filming another episode of our YouTube show "Life Is Sweet" yesterday and with it being a baking battle we thought we would pop over to our blog and share the recipes with you. Empty the mini chocolate digestives into a small sandwich bag and smash them up, you can use your hands or a food processor. Melt butter in a pan and add your biscuit crumbs. Mix till combined. 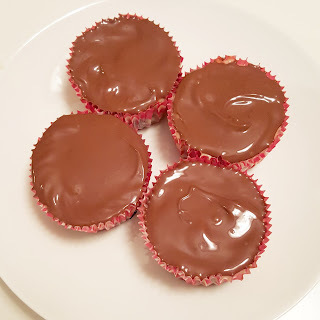 Put 6 cupcakes cases in a cupcake pan then spoon a little bit of your Digestive biscuit base into the bottom and press down so it's all nice and flat. Put in the fridge to set. I left them in till my cheesecake mixture was ready. About 20 mins! Using a handheld mixer or kitchen aid mixer beat the cream cheese, sugar and vanilla until nice and smooth. Remove your bases from the fridge and scoop a good amount of your cheesecake mixture on top of each one. Once cooled you melt your Aero bars and drizzle or spread on top! Vanilla buttercream and a Battenberg piece to garnish! 1 Packet of mini Mr Kipling Battenergs. Collect all ingredients together and make sure to let the milk, butter and eggs get to room temperature before you begin…que mini dance party. Pre heat the oven to 350 degrees and turn up that music. Line baking tray with cupcakes. Mix together the flour, salt and baking powder in a small bowl and set aside. Pour the milk into a measuring jug or glass and mix with the almond essence and set aside. Cream the butter and sugar in mixer together until light and fluffy. Turn mixer to a lower speed and add eggs one at a time and let mix till incorporated. Begin to add one third of the dry mixture followed by one third of milk mixture. Repeat until both mixtures have been added, ending with the wet. Dance and sing to your heart’s content. 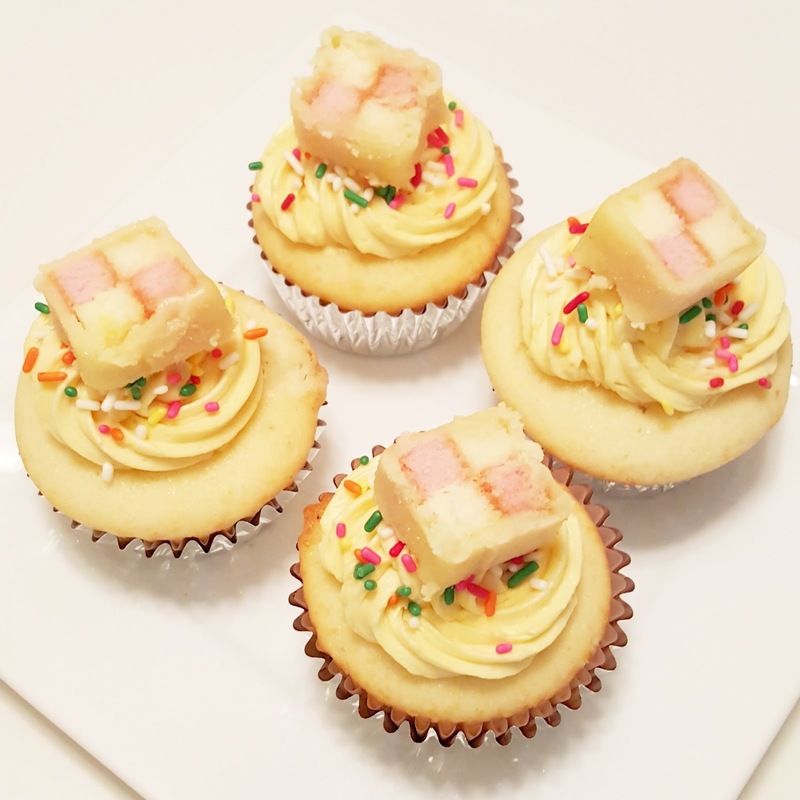 Using a medium size ice cream scoop, scoop a little of the cake batter into the cake cases, then place a slice of Battenberg in the center of each cupcake. Scoop a little more of the batter over the top, till the cases are 2/3 full. Gently bang tray on counter to even out the cupcakes and relieve any air bubbles. Place tray in oven and leave the cakes to cook for 15-18 mins. Continue dance party. The cakes are done when they are firm and springy to the touch or a spaghetti strand comes out clean! J Leave on a wire rack to cool.